Our skin tests are a comprehensive method of testing for an inflammatory response to a specific allergen. Allergy testing and evaluation is the best way to determine exactly what triggers your symptoms. In order to develop a complete Extensive Personalized Allergy Profile (E-PAP), a variety of tests are performed. The Naples Allergy Center skin test consists of introducing small amounts of the suspected substance, or allergen, onto (scratch test) and under the skin and observing the development of a positive reaction (a wheal, swellings, or redness in the surrounding area). The results are read 15 – 20 minutes after application of the allergen. As specialists with advanced training in allergy and asthma care, we have a wealth of experience in providing the best possible outcomes for allergy, asthma and immunology patients. We have developed a personalized testing protocol for all new patients that eliminates the guesswork and helps us scientifically diagnose our patients in order to rule out all possible allergic conditions and create the best personal treatment plan for you. People with untreated allergy symptoms aren’t aware of how much better they can feel once their symptoms are properly diagnosed and managed. In order for us to accurately determine the precise causes of your allergic symptoms, it is important to have all new patients create an Extensive Personalized Allergy Profile (E-PAP). 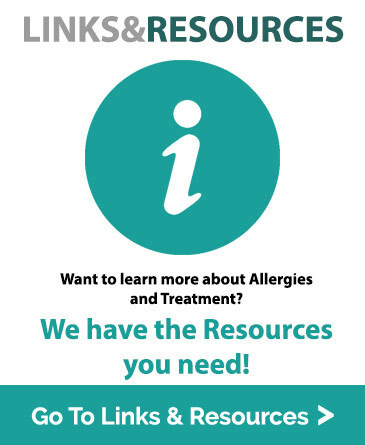 The E-PAP is created through the completion of Diagnostic Testing Protocols that enable us to properly diagnosis your specific allergy issues and treat each of those issues so that our patients can live a healthy and productive life. 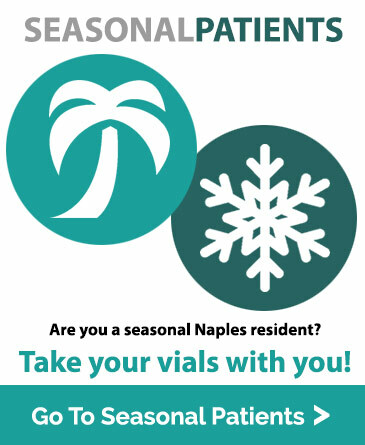 All patients at Naples Allergy Center are tested for specific allergens local to Naples, Florida. These include trees, grasses, weeds, molds, dust mites, animal dander, and specific foods. Naples is a unique environment, and you may not think to be tested for these environmental factors if you have recently moved. Relax, we’ve got you covered. 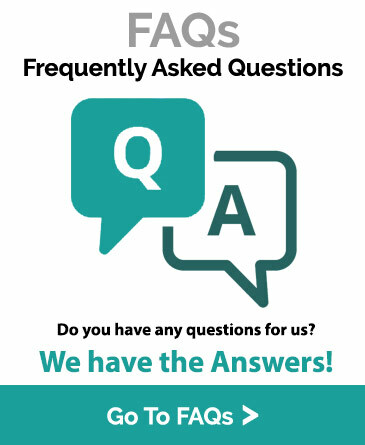 The Director of Immunotherapy will consult with you to determine which of these diagnostic tests will be required to determine your specific allergens, create your personalized treatment vial, and begin the correct treatment plan for your health. Skin testing appointments generally takes between 1 – 3 hours depending on which tests are performed. 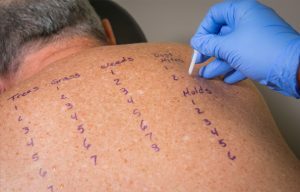 Areas on the skin are marked with a pen to identify each allergen that will be tested. A drop of extract for each potential allergen is placed next to the corresponding mark either through scratch or intradermal. Substances tested include pollens, molds, trees, animal dander, and several other allergens. The patch test pinpoints a trigger of allergic contact dermatitis. Your skin will become irritated (if allergic) and may itch, much like a mosquito bite. This reaction means you are allergic to that substance. Substances tested include metals, cosmetics, and industrial as well as commercial compounds used in everyday materials. This test is conducted similarly to the environmental skin test. This test will determine allergic reactions to a variety of foods. 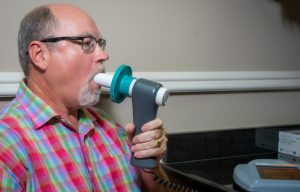 The spirometry test assesses lung function, ie. how well you breathe in and out. Your breathing can be affected by chronic obstructive pulmonary disease, (COPD) asthma, pulmonary fibrosis, cystic fibrosis, and other lung diseases. It is often used to evaluate a person who has a chronic cough. The spirometry test can also determine whether a specific therapy has improved lung function, and check the progress of your lung disease. The radioallergosorbent test (RAST) is a blood test used to detect the substances a patient is allergic to. This test is different from skin allergy tests, which determine allergy by the reaction of a person’s skin to different substances. Common inhalants and other allergens tested include pollen, dust mites, medicines, foods, latex, venom, or other substances. Other types of allergy blood tests may be ordered in certain specific situations, such as severe skin rashes, or if it is impossible to stop a medication that interferes with the interpretation of the skin test, or other diseases that trigger allergy type symptoms.